Techbay Electronics Kenya Smart Phone Repair offers a limited lifetime warranty on all parts and labor associated with your repair. If your repair fails due to a defective replacement part or workmanship associated with the repair, we will resolve the issue free of charge. Fast, Affordable Tablet, Laptop, Game Console and Cell Phone Repair. Your gadgets play a major role in your professional, personal and school life. When your phone, tablet, or laptop breaks, you want an expert to handle the repair. That’s where we come in. With over a decade of experience in the electronics repair industry, Techbay Smartphone Repair can get the job done quickly and effectively. Techbay's iPhone cracked screen replacement services are both fast and affordable. In fact, a majority of iPhone screen repairs can be completed within one business day, if not while you wait in-store. If your iPhone is suffering from water damage, visit Techbay. We will perform a professional diagnostic to determine the extent of the damage, clean out the device, flush out any debris and test accordingly. If your iPhone speaker is muffled, distorted, or simply producing no sound at all, you may be in need of a speaker repair or replacement. Trust the experts at Techbay Electronics to solve all of your iPhone audio issues. When you are experiencing weak signal or no signal on your iPhone, Techbay is here to help. Your iPhone could be suffering from a variety of issues including water damage, SIM card damage, or outdated software. If buttons on your iPhone are malfunctioning or broken, count on the technicians of Techbay for professional repair services. We work quickly to fix the problem so that you never have to be without your iPhone for long. An iPhone battery that won't hold its charge can put a serious damper on your productivity. Luckily, Techbay performs professional iPhone battery replacements so that your iPhone can keep up with your busy lifestyle. One of the most common issues Techbay specializes in is cracked screen repairs. Luckily, most Techbay screen repairs are completed the same day you bring in your damaged Samsung phone. Your Galaxy will look brand new after our affordable, speedy screen repairs. Don't assume your Samsung Galaxy is beyond repair after suffering from water damage. Techbay technicians disassemble your phone, clean and repair it from the inside out, and reassemble it carefully. You can rest assured knowing your phone is in good hands. If your Samsung Galaxy no longer sounds loud and clear, you may have speaker issues. Whether you just need a tune up or a full speaker replacement, Techbay has you covered. When your Samsung Galaxy is running extra slow, there may be a variety of issues affecting your signal. Techbay technicians will examine your phone, find the culprit, and make any necessary repairs or replacements to get your phone back in working order. If you're finding that your Samsung Galaxy won't stay charged no matter how often you charge it, visit your local CPR. We will either repair or replace your current battery to restore your phone's lifespan to its original state. A broken or malfunctioning home button can throw off your entire Samsung Galaxy experience. You can count on Techbay for a fast repair services, so your device is back in your hands as soon as possible. The technicians at Techbay offer affordable iPad screen repairs that can often be completed within the same business day. Visit one of our convenient locations to get your iPad back to its proper state. You take your iPad everywhere, so it's not uncommon for water damage to dampen your experience. Techbay has experience in water damage repairs and can successfully restore your iPad quickly and affordably. If the audio on your iPad sounds muffled or is not working altogether, visit your local CPR. We have the tools to repair or replace your iPad speakers and restore your tablet to its original state. An iPad without a signal significantly diminishes the tablet's capabilities. Luckily, Techbay specializes in signal repair services that won't leave you without your favorite tablet for long. If your iPad doesn't hold its charge as long as it used to, you may have battery issues. Whatever the cause, Techbay can diagnosis the issue and complete a successful repair in a timely manner. If you find the buttons on your iPad are malfunctioning or not working altogether, be sure to visit your local CPR. Our repair technicians can resolve the problem quickly and affordably. CPR's expert technicians specialize in cracked screen repair – and not just for cell phones. We efficiently and affordably repair broken computer screens on all of the most common makes and models. If you have a water damaged computer, visit Techbay as soon as possible. Our technicians can diagnose the extent of the damage and repair it quickly, so you don't have to be without your computer for long. A damaged computer speaker can impair your user experience. If your speaker sounds muffled, distorted or simply is not producing any audio, bring it to one of CPR's conveniently located stores for a repair or replacement. Slow computer? You could be experiencing issues with your operating system or other internal software. Techbay can pinpoint the problem and fix it fast, so your computer can get back to working for you. Is your computer's battery no longer holding a charge? If your computer is not charging or is continually losing battery power, stop by Techbay and let our expert tech team diagnose and fix the problem. When it comes to your digital devices, nothing is worse than a system crash. If you're experiencing the dreaded blank screen of a system failure, bring your computer to Techbay for a free diagnosis and estimate on repair services. From liquid damage to cracked screens, Techbay provides high-quality, affordable repair services for every generation of iPhone. The professionals at Techbay Phone Repair fix all of the most common smartphone issues, regardless of make and model. Techbay Electronics offers professional tablet repair for any generation of iPad, including the iPad Pro and the iPad Air. No matter what the problem, let Techbay restore your trusted PC laptop to excellent working condition. From the Microsoft Surface to Samsung tablets, Techbay Electronics technicians can diagnose and repair any Android or Windows tablet computer. At Techbay Electronics, we offer full diagnostic services to pinpoint and correct the source of your Mac computer or laptop problem. Techbay offers dependable, budget-friendly video game console repairs for systems by Xbox, PlayStation and Nintendo. Whether you have a damaged iPod or other MP3 player, Techbay technicians have the skills and expertise to bring your tunes back to life. Don't let damaged phones, tablets, and laptops put a damper on your productivity. Depend on Techbay for all of your business and school repair needs. CPR Cell Phone Repair can provide holistic warranty and repair solutions for all of your business' devices. Depend on Techbay Electronics Repair for all of your school-issued laptop and tablet repair needs. We offer a limited lifetime warranty on all our repairs. If the original repair fails because of a defect with a part we installed or due to the workmanship in repairing the device, we will fix it for FREE. No questions asked. Drop it off, mail it in, or we’ll come to YOU! We offer multiple locations and options so that you can get us your device when and where it is convenient for you. You can choose to drop it off, mail it in, or have a technician meet you with our REPAIR2U™ service. ©2019 Techabay Electronics.® All Rights Reserved. All Techbay Stores are independently owned and operated and may not offer all of the repair and warranty types listed on this website. Contact your local store for their specific repair capabilities and warranty terms. All product and company names are trademarks of their respective holders. 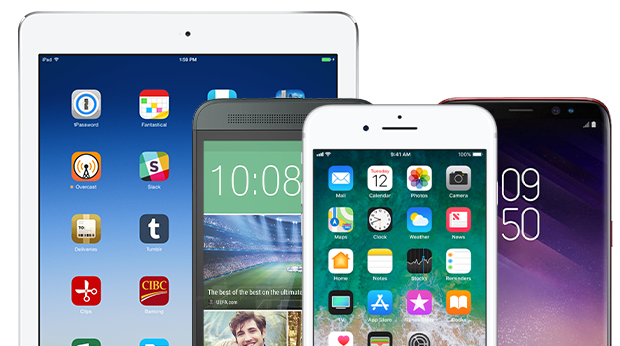 iPhone, iPad, iPod, iPod touch, Mac and iMac are registered trademarks and property of Apple, Inc. Techbay is a third-party repair company and is not affiliated with Apple. Checking the status of your repair is quick and easy at Techbay Phone Repair! Simply complete the form below to see the status of your device. You may find Ticket ID on your receipt, or in your email confirmation if you opted to receive one. If you cannot find your Ticket ID, please call your store.